A chart describing the types of insulin, manufacturers, devices and duration of action. This chart has been reproduced unedited. It provides information which can be useful when dealing with patients on insulin for the non-experts. 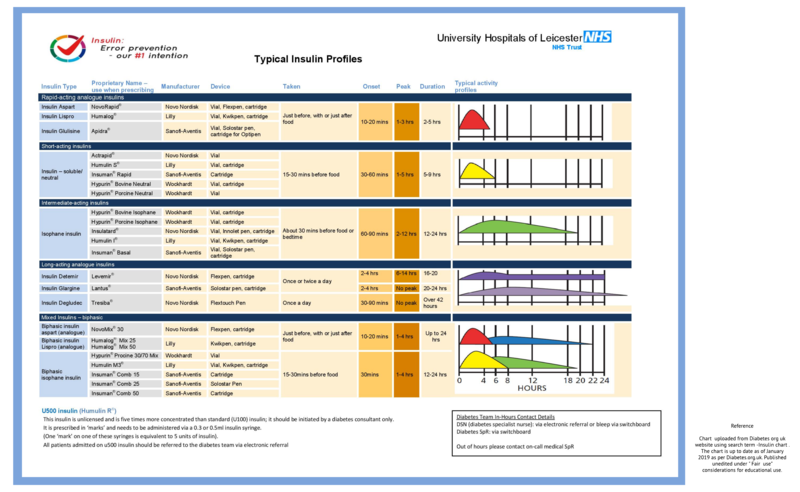 Chart uploaded from Diabetes org uk website using search term -Insulin chart . The chart is up to date as of January 2019 as per Diabetes.org.uk. Published unedited under ” Fair use” considerations for educational use.